Well, well, well… Our homework portion for our discussion is now online (part two, if you will). We received so many submissions that I had to call in a little bit of help, so Kaijucast regulars Bryan and Rachel, along with my girlfriend, thankfully volunteered their time to help read everyone’s homework. I almost feel like you could create some kind of data analysis based off of so many responses, but that’s way outside of my wheelhouse. 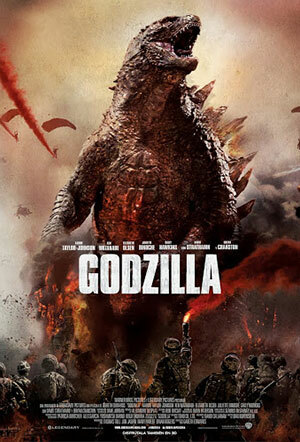 The reviews really did range from elation to disappointment in this new Godzilla film. I’m not overly surprised by the varying responses to the film since we, as a fandom, are all individuals. But it seems that many of the reviews had the same basic thoughts and feelings about the movie’s failures and successes. Regardless, I will be happy to own the most tricked out version of Godzilla when it’s available for my home viewing pleasure. 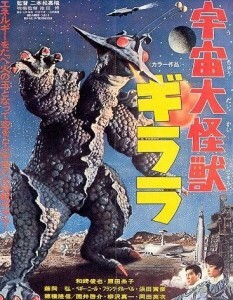 Our next film up for discussion is the 1967 monster mash from Shochiku called The X From Outer Space. This film was released on DVD as part of a Japanese horror collection from criterion, but it is also available to watch online through Hulu Plus (and apparently, the whole thing is on Youtube as well). If you would like to have your thoughts, questions and review included in the following discussion episode, please make sure you have your homework turned in by June 22. Thanks, and I look forward to reading what you think about this crazy 60s film!